Lightspeed is a leading provider of cloud-based point-of-sale solutions that help more than 45,000 retailers and restaurateurs process over $15 billion in transactions annually. Tailored to small and medium sized businesses, Lightspeed’s mission is to make the lives of business owners much more enjoyable by providing solutions that allow them to concentrate more on customer service. 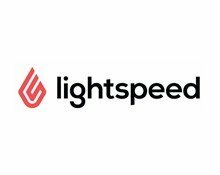 Based in Montreal, Canada, Lightspeed also has offices in the USA and Europe and is used in over 100 countries worldwide.